A rich emollient cream with Medihoney® sterilised medical grade Manuka honey, Aloe vera and Chamomile extract to hydrate and soothe red, itchy skin. Medihoney® pulls in water from the lower layers of skin and locks it in for lasting skin moisture. Aloe Vera has been shown to effectively improve skin hydration while chamomile is recommended for mild skin irritation. 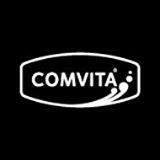 - Effective for the whole family including babies from 3 months. Apply a small amount onto clean dry skin three times daily or as required. Reapply after bathing. 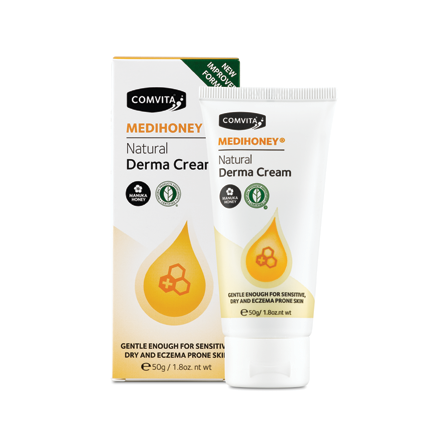 Contains Medihoney, medical grade antibacterial Manuka honey, Aloe vera and Chamomile extract to soothe skin prone to eczema and minor skin irritations. Enriched with natural moisturising ingredients that replenish and condition dry skin. Medihoney is a trusted ingredient used in wound and skin care products in hospitals around the world. Aqua, mel, Carthamus tinctorius (safflower) oleosomes, caprylic/capric triglyceride, Ricinus communis (castor) seed oil, Butyrospermum parkii (shea) butter, glycerin, Olea europaea (olive) oil unsaponifiables, cera alba, tocopherol acetate, Chamomilla recutita (chamomile) flower extract, Aloe barbadensis leaf juice powder, Hippophae rhamnoides (seabuckthorn) oil, cetyl palmitate, hydrogenated vegetable oil, sclerotium gum, sorbitan olivate, sorbitan palmitate, xanthan gum, potassium sorbate, sodium benzoate. - Relieves itching and softens dry skin. - Slightly greasy when first applied, and can leave the skin feeling a little bit sticky. - The product is fragrance-free, but does have a natural medicinal honey-like scent. Some people may find this unappealing. An incredibly soothing cream that's perfect for those with eczema, itchy, inflamed, sore or dry skin.